The Port Orchard Bay Street Association has been supporting downtown businesses for over 15 years. 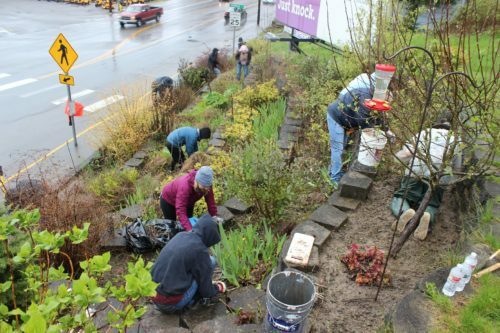 POBSA is a powerful voice for our community, and for the future of downtown Port Orchard. The mission of POBSA is to encourage a strong local economy and quality of life by supporting community events, sponsoring business-related activities, and improving the local aesthetics, while encouraging tourism. The board of directors is elected each year from the general membership. Vanessa Karwacki, Member at Large- The N9Ne & CO. Meetings are held on the third Thursday each month in various area venues, starting at 7:30 am for networking. The meeting starts at 8:00 am, and generally runs for one hour. Check the calendar for the location of the next meeting.